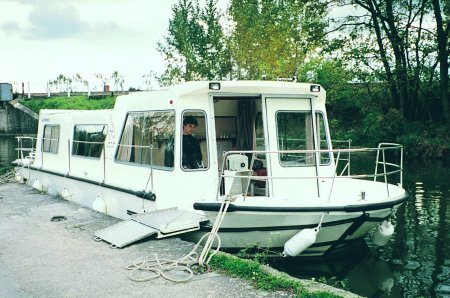 The Espade 1230 Handi is a specialy adapted boat for wheel chair users. You can sail it without a license. - Living room convertible into single bed, and a single bed. - 1 shower-electric-toilet, wheelchair accessible. - Lift table to reach the lounge.